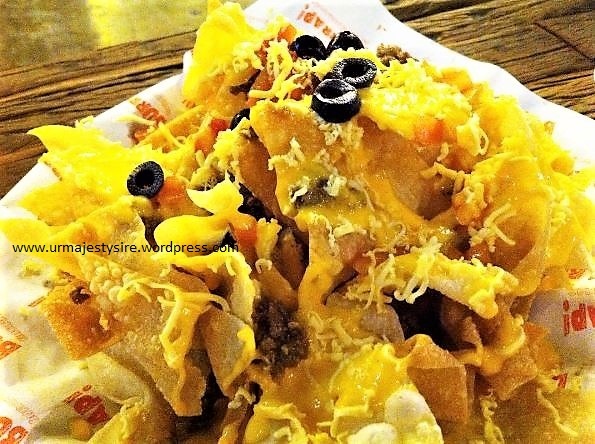 Burrrap_Burrito Masarap: More than just burritos and definitely masarap! Was supposed to visit the opening of Burrrap_Burrito Masarap at Love Craft Food Park during the latter’s slated opening but it being a December, schedule and traffic was really crazy! Anyways, visited a couple of weeks ago after errands with my cousin. We traversed E. Rodriguez looking for the food park (don’t just rely on the maps online) and almost missed the place (its the building beside the BLTB bus terminal). Here’s what we tried! 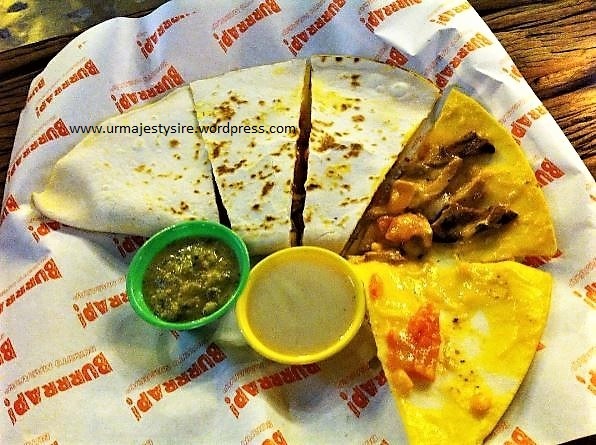 Chicken Inasal Quesadilla – it might look like your regular quesadilla but this version first off, the tortilla is not burnt but warmed just right; second the ingredients do not overpower each other; and third, their sauces taste fresh and also flavorful. This one goes to my comfort food list, being its great for those lazy to cook days, rainy days, movie marathon days or simply I’m craving for Mexican food days!